Engine Light Fixes. Ever wonder why that annoying engine light of your is always coming on? It’s annoying, isn’t it? We know! 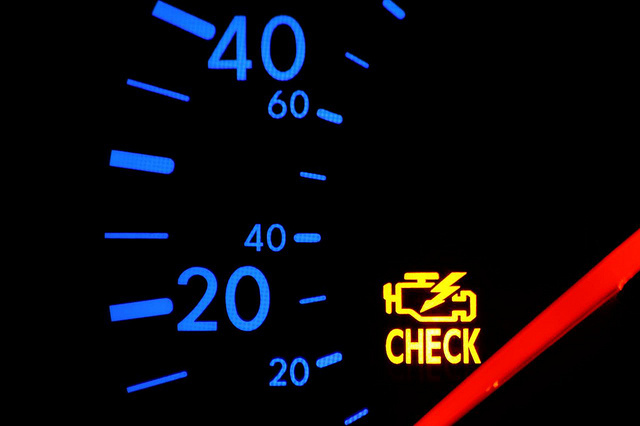 That’s why we want to show you the top five reasons your engine light is coming on. We’ll even give you tips on fixing each of them. The O2 sensor could be faulty, reducing your gas mileage by a stunning 40%. It’s pretty much adding $900 a year to your fuel costs. You can fix it by locating the O2 sensor, unclip it and clip the new one in.. A damaged gas cap can cause your gas mileage to drop by 0.5. Loose or missing caps are responsible from about $147 million in evaporated gas annually. All you need to do is buy a new one for $5.. In the case of a catalytic converter, there isn’t usually a problem, unless a related part such as the spark plug is neglected. You will have to spend more money on gas and repairs can amount to $1000. Prevent a catalytic converter issue by fixing the faulty spark plug, which can cost not much more than $10.. Ignition coils are another problem linked to spark plugs. Also, they can just be old or they may have experienced too much heat underneath them, too. They can reduce your gas mileage by a whopping 20%. All you need to do is get your spark plugs fixed and try not to let your car overheat.. A mass air flow sensor can reduce your mileage a stunning 25%. They can be caused by unchanged air filters, especially for vehicles that travel in very dry and dusty regions. Take $25 to change your air filters, instead of waiting too long and having to spend $400 on a mass air flow sensor repair. Maybe you can do this, or maybe you think you need a little assistance. You can come to us for help. Also, if you are looking for mobile vehicle services in Ottawa, battery boosting, tire changes, oil changes, or mobile car repairs, give us a call! Book your mobile vehicle services today! We also repair and tune-up small engines such as lawn mowers and snow blowers. Even better, we come to you, so no more waiting in line or traveling back and forth to fix your vehicles and small engine equipment.